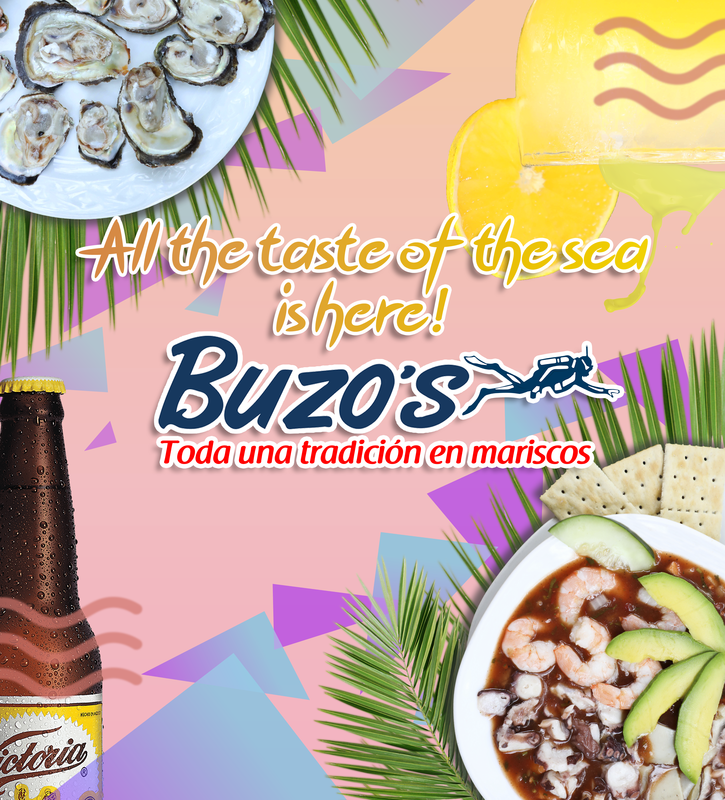 Buzos start in the year of 2001, at La Noria st. the humbleness and the great service from the owners was admired and appreciated for their costumers. On that times the neighbors, most of them fishermen and local divers, went with their own fishes, looking to have the unique flavor from Buzos, that since that times, characterizes our restaurants. The right prices was an important reason that help us to make a first step to the success that we know today. Restaurant Bar Buzo’s it’s always modernizing themself, looking in every corner in Acapulco the Delicious taste of the port and innovating, adding our special touch in every dish. We work hard with a great team and an excellent atmosphere, that you can see reflected in the service we give you. Share with our customers the best taste of seafood dishes from the state of Guerrero, a variety of drinks with the right Prices and an excellent attention in the service. Being recognized like one of the best restaurants of seafood in Mexico, expanding our Brand to others touristic destinations in the medium term. Honesty: Being professional and personal with our work. Responsibility: With the fulfillment of our services. Respect: To our customers, colleagues and collaborators. Fellowship: Have a Good relationship with our colleagues and be a united work team. Empathy: Think and take our actions seeking the satisfaction of our customers, doing the things as we wish was made for us. Passion: Prepare our dishes with the pursuit of our own satisfaction and of our costumers, looking for an excellent quality. Proud ambassadors of our Brand.